WOW, WOW, WOW!!!! Bounce! absolute made our wedding reception come alive. 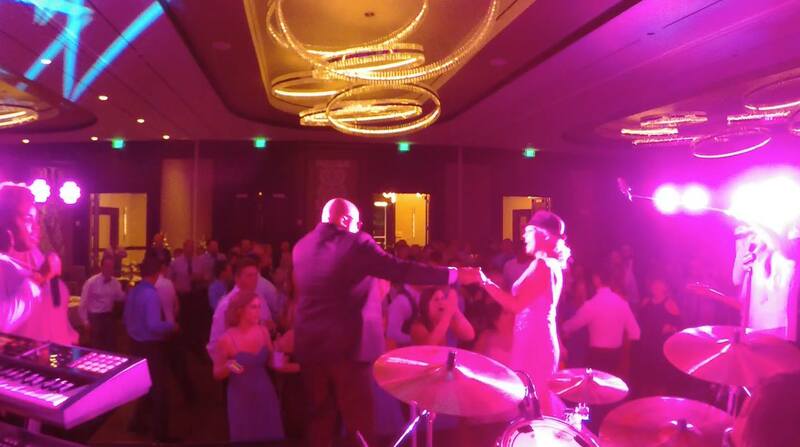 They kept high energy the entire night keeping the dance floor packed and guests involved. Wanna make sure you're party rocks? Just add a little Bounce! These guys never dissapoint. Song selection, vocals, band, and energy are always on point. First heard them at our Country Club event and immediately fell in love with them. 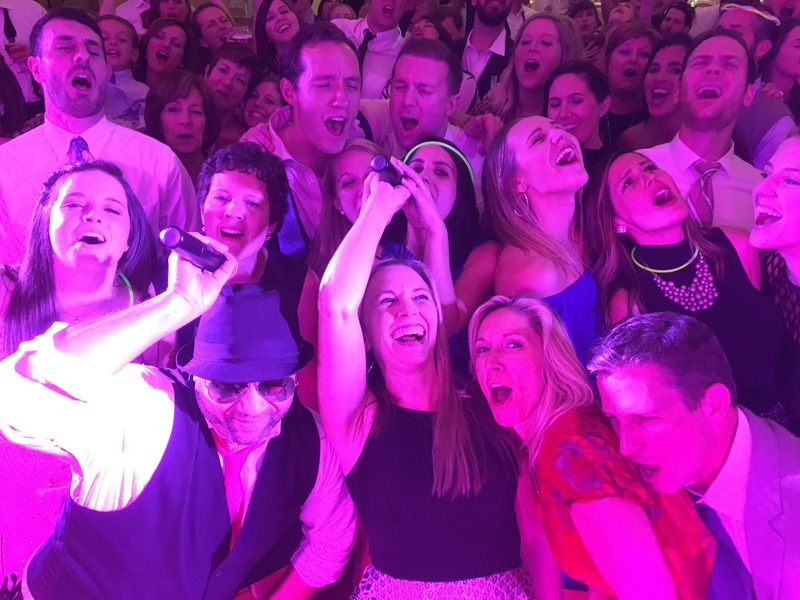 So, I booked them for our company event and they lived up to all expectations. WOW! 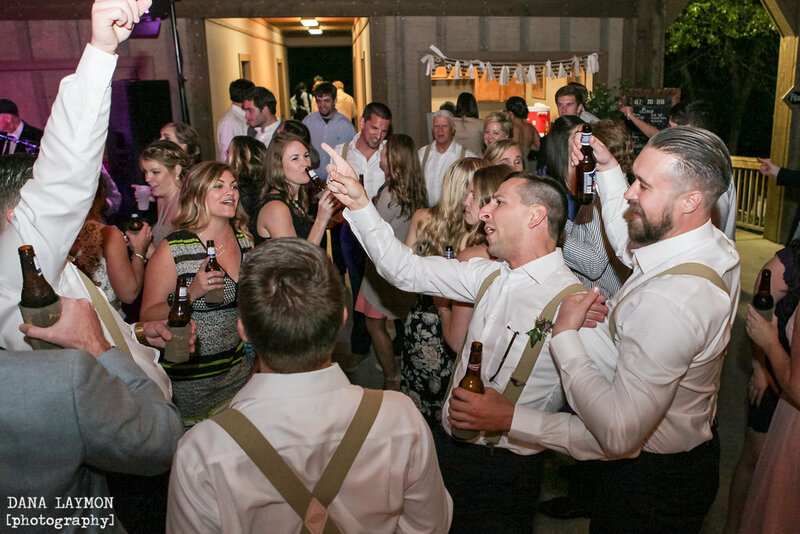 Bounce was unbelievable at our wedding reception. I am so thankful that they are who we chose to have play because they absolutely killed it! First of all, Mike was so great to work with prior to the ceremony. 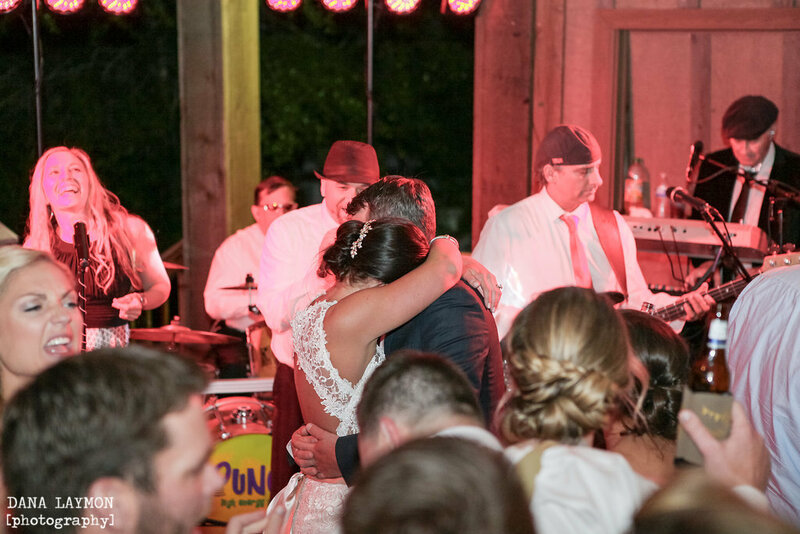 He reached out to us to help decide on first dance songs and entry songs for the wedding party. Bounce! 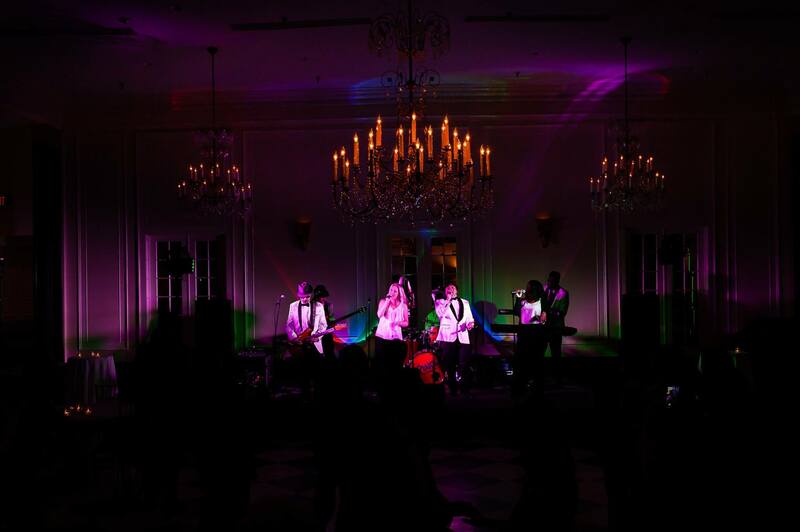 is a high energy wedding and party band from the Raleigh Durham area of North Carolina. Playing all you’re favorite dance songs from the last 40 years. 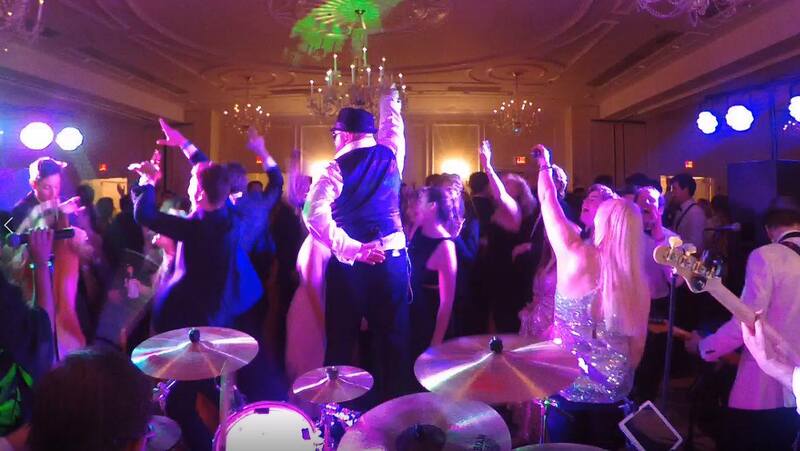 We create a custom music experience for you and your guests that they will talk about for years to come! Come see us live so you can “see and hear” the Bounce! Party Train in action! We have public shows every year in these major cities! Asheville, Greensboro, Charlotte, Hillsborough, Durham, Raleigh, Danville, Atlantic Beach and Wilmington. BOUNCE! brings everything you need to have a great time – Music, Lights, Full Sound System and we will DJ between sets to make sure the party never stops! Need ceremony music? We can do that! Need cocktail and dinner music? We can do that! 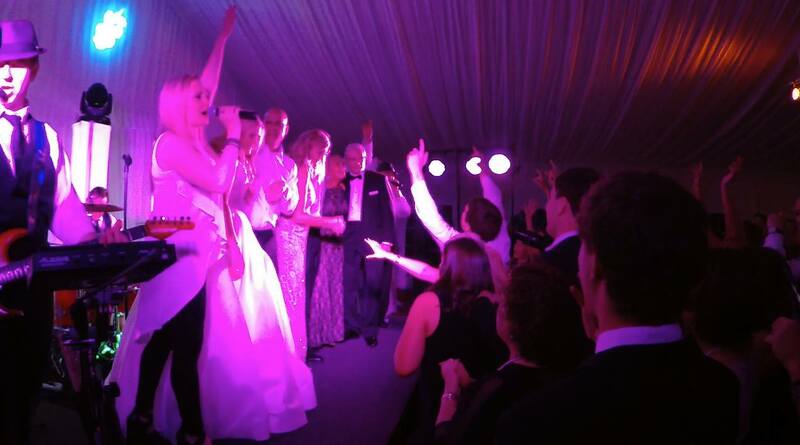 Need extra sound or lights for other areas of your event? We can do that! Need a second line? We can do that! Need us to add up to two horns? We can do that! We can customize everything you need for your event! Call or email today and schedule an event consultation! 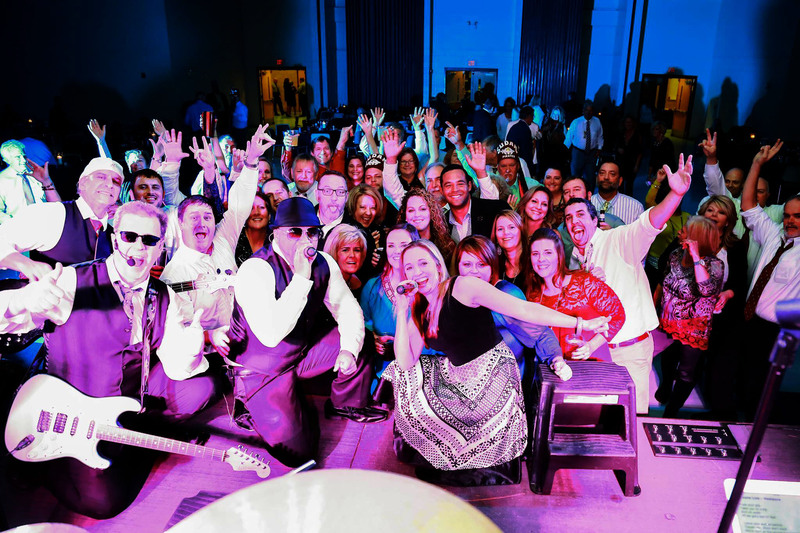 We are highly trained professionals who have been in the music industry for years! We deliver a great product, on time with the high level of quality and attention to detail your event needs. Put a little BOUNCE! in your party!